Karen has taken three 1-on-1 DSLR photography lessons with me at the JCP Home Studio in Albuquerque, New Mexico as she had a big family reunion coming up in Taos she wanted to be able to make great candid photos of, as well as group photos. She has a Nikon D750, the same camera I have! So it was very easy to show her all the custom settings I use myself on my own Nikon. The first 2-hour lesson was focused on teaching her my 5-step process for shooing in manual mode and getting a sharp and well exposed photo in any shooting conditions. 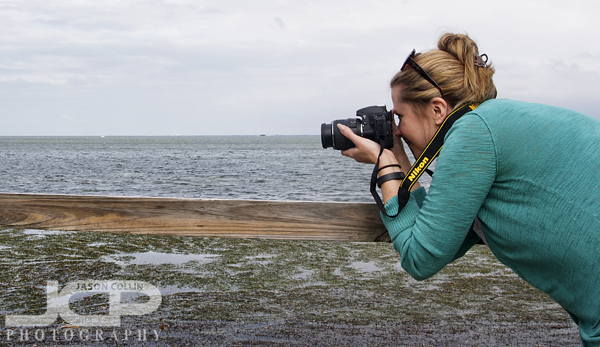 Karin framing a shot with her Nikon D3200 during our 1-on-1 DSLR photography lesson at Honeymoon Island State ParkI had not been to Honeymoon Island State Park for awhile, but on a Saturday back in November I had first a 1-on-1 DSLR Photo Lesson with Karin and her Nikon D3200, then a maternity shoot with a former photo student. I met Karin at the park's visitor center which provided a comfortable place to first discuss my 5-step process for getting a well expososed and sharp photo in any given shooting situation. After that the grounds around the visitor's center itself provided enough variety to put into practice how I had instructed Karin, step-by-step, to shoot in manual exposure mode. The variety of shady mangroves and bright sky provided a good contrast for learning how to quickly change between shooting conditions. About 7 to 10 seconds (or faster) is the time range I set for students to get to for changing all 5 settings as need be between shooting conditions, and then even less than that for adjusting in the same conditions. Of course I do not expect such quickness during the first lesson! 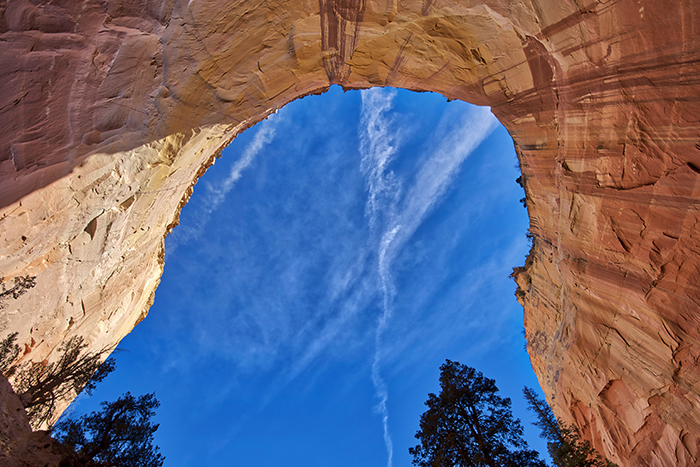 In time with experience and becoming more familiar with the Nikon camera body, Karin will be able to minimize the time getting settings right allowing her to maximize the time to get a shot in the first place and then compose it as desired. 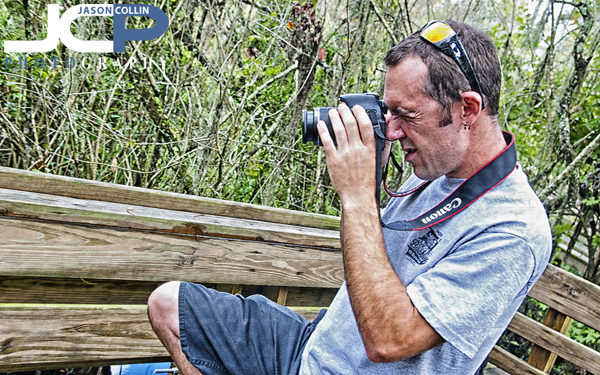 Dan sets up a shot at Lettuce Lake Park during our 1-on-1 DSLR Photography Lesson in Tampa FloridaDan recently moved to Florida and wanted to make sure he can have great photographs of the sunshine state right away with his newly acquired Canon T3i. So I met him at Lettuce Lake Park in Tampa, Florida for a 1-on-1 DSLR Photography Lesson. Dan was an enthusiastic learner with some previous knowledge of photography. By the end of the 2-hour lesson he had a lot more photography knowledge! We went out onto the boardwalk in the park where the sun was darting in and out of clouds. This would be annoying most times for photography, but it allowed us to practice getting the best exposure while standing in one spot as after almost every shot, the light would be different, and something would need to be adjusted to get the best exposure again. 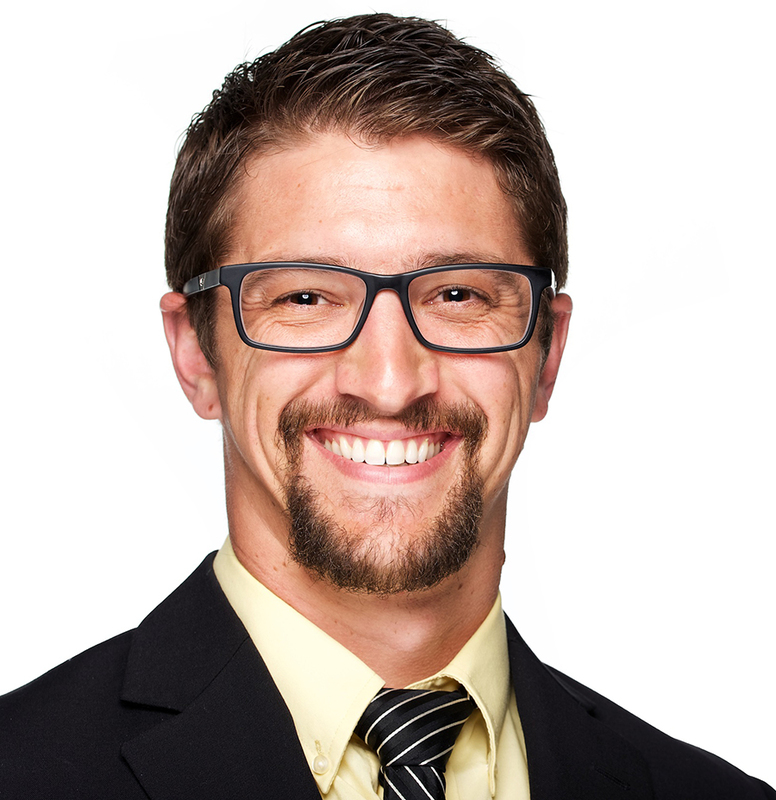 I am looking forward to seeing what Dan photographed being a newcomer to Florida during our next photography lesson and helping him continue to grow with photography knowledge and skills. Marquita as the model during her commercial photography lesson in her own photography studio!I met Marquita for a second 1-on-1 commercial photography lesson yesterday, this time at her photography studio in the artisitc Grand Central district of St. Petersburg. She had been practicing since we first met a few weeks ago in Curtis Hixon Park and was having some white balance issues shooting on a white background using her studio light setup. Even though she was shooting in RAW using auto white balance, the images coming out of the camera were looking warm, and thus skin tones did not look natural, etc. To solve this problem I showed her how to set a custom white balance on her Canon T2i which was thankfully not too difficult to figure out just by looking in the menus. Sure enough, once she used the new custom white balance, her photographs came out looking true to color straight from the camera, not post-processing white balance adjustments needed. She also wanted her white background to look more white, such that it was invisible. I put one of her studio lights directly on the background to essentially blow it out, and that combined with the custom white balance made the subject appear to be on a pure white background, again no post-processing editing needed to fix. We concluded the lesson by seeing what just one speedlight off camera with a reflector can do (see the above portrait of Marquita). Marquita will be investing in a better speedlight for her event photography work, which she can also use in her studio too. For the next lesson we will tackle Photoshop and how to add any color background to a subject shot on her white studio background! For party planning services, visit Marquita's website. Among the fountains in Curtis Hixon Park Tampa Florida Markita learns how to shoot in manual mode with her Canon T2i during our 1-on-1 DSLR photography lessonMarquita has a party planning business (website) and wanted to be able to make her own high quality photographs for marketing and promotional purposes. She met me one morning in Curtis Hixon Park in downtown Tampa with her Canon T2i and I began showing her how to shoot in manual mode and really take control over the results of her photographs with regard to exposure, depth of field and composition. Marquita was a fast learner and soon was able to change all five of the necessary settings for shooting in manual mode. The last thing we practiced during our 1-on-1 DSLR photography lesson was a little motion blur shooting. Marquita really liked this effect achieved by using a slow shutter speed and moving the camera while pressing the shutter to freeze the subject but blur the background to imply motion. 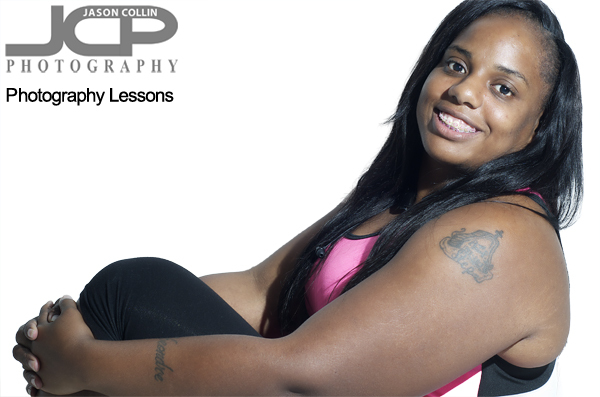 Marquita has already sent practice shots of her party supplies and is applying what she learned during the photography lesson to her event party business and is thus on her way to having her new photography skills make money for her. I look forward to meeting her again soon at her studio in St. Petersburg to learn product photography more specifically using lights and photography backgrounds, etc. Reham practices setting the focus and recomposing with her Nikon D5300 in Wesley Chapel Florida during our 1-on-1 photography lessonOn a warm and humid Wesley Chapel Florida evening I met Reham for the second time at Shops at Wiregrass for a 1-on-1 DSLR Photography Lesson. We first met one week earlier where I taught her my 5-step system for getting a well exposed and sharp shot in any shooting conditions. Between now and then she practiced in a variety of settings from an outdoor restaurant to a dark bowling alley! This practice allowed her to come to our second lesson with specific questions and specific photos to ask. This is exactly the way to make progress in learning how to become a digital photographer, by taking what is learned during the lessons, applying it in the field, then returning with questions before learning another photography skill. I was pleased with Reham's practice and progress in just one week! The photography skill we focused on this time, was actually setting the focus and recomposing as I noticed she centered the subject every time in all of her practice shots. Putting the single focus point on the subject of the photograph, pressing the shutter halfway, and keeping it pressed halfway while slightly recomposing the shot is the technique needed to prevent boring, centered subject photographs. In particular, when photographing a person, the focus should be set upon the eyes, and then recompose from there, as I did in the portrait of Reham above. I will meet Reham two more times next week to get her as ready as possible to make great photographs during her trip to Paris later this month!